Now that Halloween is over, everyone's looking ahead towards Thanksgiving. I can tell because my Pinterest feed is fullllll of Thanksgiving recipes, crafts, and many different variations of "Thankful" decorations. 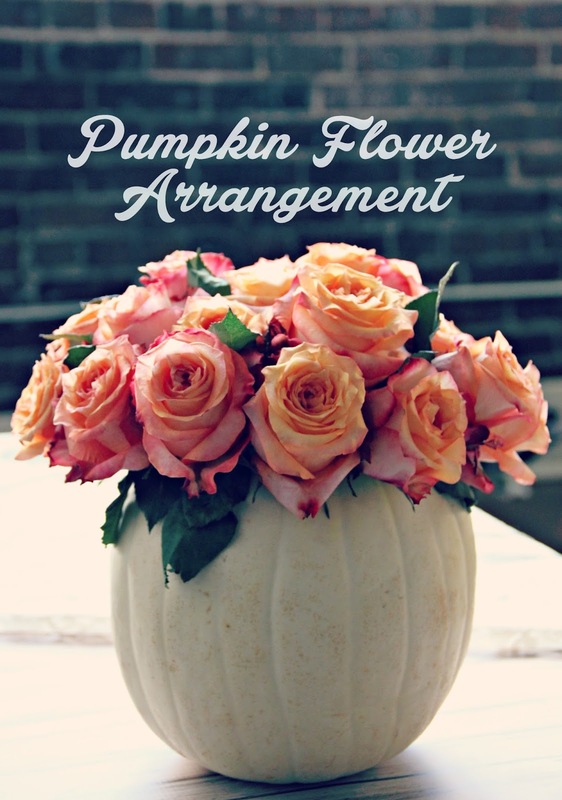 One project that I keep seeing is the pumpkin used as a vase to make a gorgeous flower arrangement project. The many different varieties are all so beautiful and definitely make a statement. Well, I just had to give it a try to see if it really is as easy as it looks. Guess what, it was! I had ordered some pretty autumn colored roses from The Bouqs and knew they would be perfect to try this little experiment out. I found a pretty fairytale pumpkin at our local grocery store and got to work. Honestly, I thought all the Pinterest flower arrangments looked too good to be true. I had a feeling the pumpkin was going to end up in the trash and the flowers in a vase. I was pleasantly surprsied at how do-able this project is. I definitely recommend creating an arrangment like this for your Thanksgiving table or to give to a friend or even just to decorate your house! It's simple. All I did was cut the top off the pumpkin and scrape out the insides. 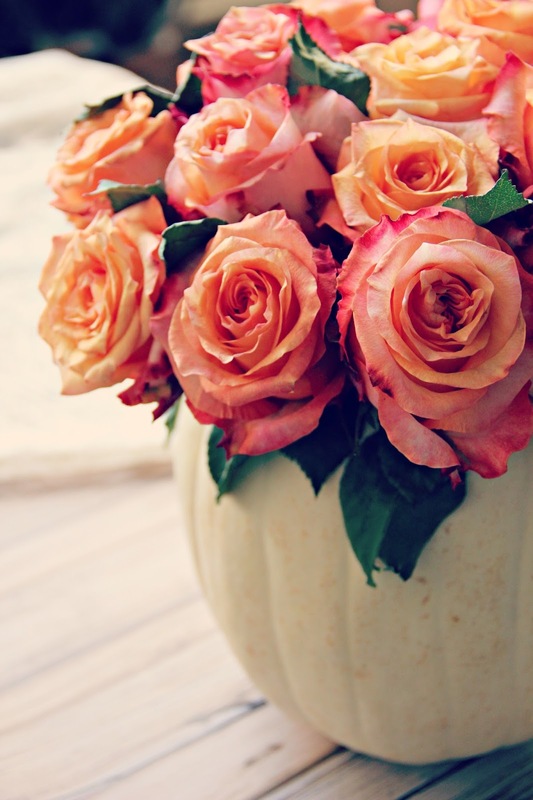 Then, I found a plastic bowl that fit into the pumpkin, filled it with water, and arranged the flowers. That's it! 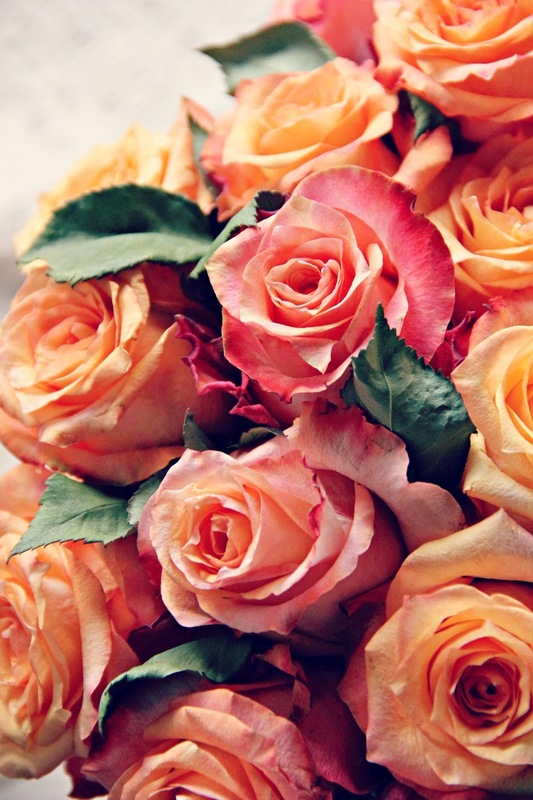 With relatively little work, you can make a flower arrangement that looks professional and makes a huge impact. Oh, and might I suggest getting the flowers from The Bouqs? Seriously, this is the second bouquet I've gotten from them and I haven't been disappointed. They have many different varieties of flowers to choose from and once you get them, they last a reallllly long time! I'm happy to say this has been another Pinterest success!!! How beautiful! Lovely photos, too!